Elegant harbour town on Cres. A road less travelled, but easy to get to, pretty towns, uncrowded beaches, an odd grand resort, health spas, wild nature, fabulous swimming, great summer events. Cres and Losinj are two amazing islands which belong to the Kvarner region - a large bay extending from Rijeka southwards. The island of Cres is known for olive groves, wild, fabulous beaches and pure healthy relaxation in the sun. Several towns and villages with incredible charm are Cres town, Valun and Beli. Make a trip uphill and you will reach a magical old village Lubenice, where time stands still, and film makers come to make films. The view of the sea from Lubenice will be rewarding. Go to the island of Losinj, and you are in paradise, but quite distinct from Cres. The island of Losinj boasts the very sophisticated town of Mali Losinj surrounded by refreshing pine forests and beaches. This was the resort of emperors in the past, selected specially for its perfect climate and restorative powers. The town has many grand villas and hotels from the 19th century, health spas, good restaurants and entertainment. 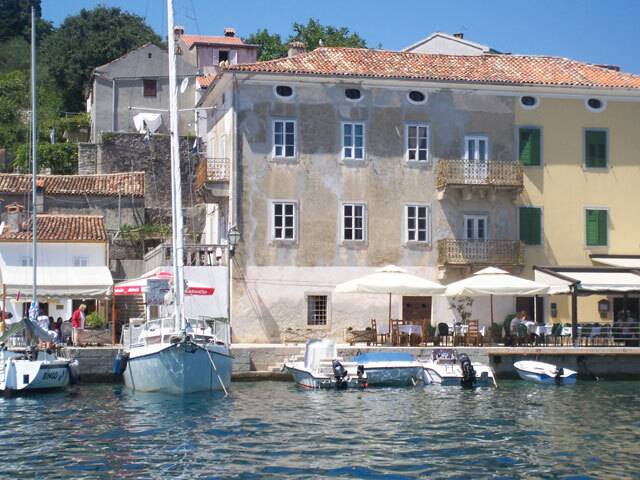 A smaller village, but very beautiful and worth seeing is Veli Losinj. If you are holidaying in Cres or Losinj do make a trip to the small island of Unije, which is simply beautiful and totally understated, with charming old houses and a couple of beachside restaurants. You can also include the island of Susak, which has huge but empty sandy beaches. The whole island is one huge sand dune. Nearest airports are Rijeka, Pula and Zadar.There are short ferry crossings from the mainland to Porozina on Cres or from Krk island to Merag on Cres. Longer ferry routes runs from Pula, from Rijeka and from Zadar to Mali Losinj.